Arsenal and Sint-Truiden have reportedly agreed on a £2 million deal for striker Chuba Akpom (via The Independent). Chuba Akpom is a player who has long been on the cusp of the Arsenal first-team but has been restricted mostly to loan spells to get first-team football. Well, that could soon be coming to an end with reports that Arsenal and Sint-Truiden have agreed on a deal for the striker. The transfer could be worth up £2 million for the 22-year-old striker who has made just 12 competitive appearances for Arsenal in all competitions. The forward spent the second half of last season on loan at Sint-Truiden and scored 6 goals in 16 matches for the Belgian side. Akpom is expected to be one of a number of players left out of the Arsenal squad which is travelling to Singapore for the club’s pre-season tour. Carl Jenkinson, Chuba Akpom, Jeff Reine-Adelaide, Joel Campbell and Krystian Bielik have all been left out of Arsenal's tour squad. 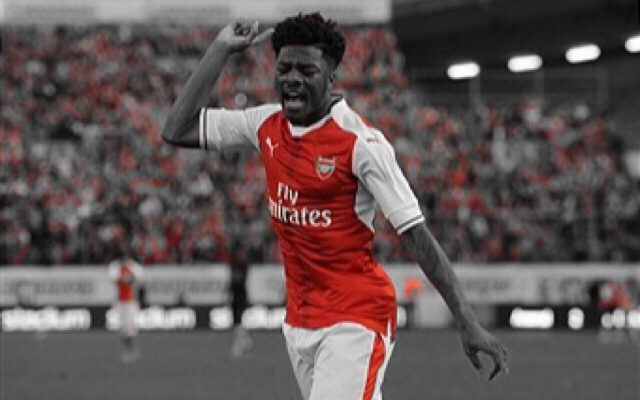 It’s a transfer which has been a long time coming so it’s probably best for all parties that Chuba Akpom heads for the exit door. The striker has shown glimpses of his high potential but won’t play much football at the Emirates ahead of the current striking options.